1). Follow the tanning schedule for your skin type and always use proper tanning goggles. 2). Always apply a indoor tanning lotion before tanning to keep your skin moist while tanning in your home tanning bed. 3). Keep your tanning bed acrylics clean to allow the UV light through. Use ONLY a cleaner approved for acrylics. A non-approved tanning bed acrylic cleaner can damage your tanning bed acrylic by dulling or scratching it. This will cut down on your tanning power and will wear out your tanning bed acrylics faster. 4). Apply a moisturizer to your skin daily to help keep it soft and supple. 5). A tan extender can help extend the life of your tan. 6). Wait 3-4 hours before showering, this gives the natural skin oils time to work. TIP: Always wait before taking a shower after tanning. This will help the tanning effect. 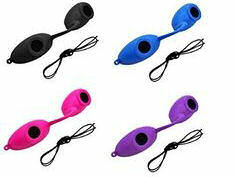 TIP: It is important for proper eye care while tanning! You need to use tanning goggles to protect your eyes from the (UV) Ultra Violet light that your tanning lamps (bulbs) produce. Always wear the safety goggles when tanning inside of your tanning bed, booth, or stand-up. **Only use approved goggles as defined under 21 CFR 1040.20. Regular sunglasses will NOT provide adequate protection from the UV light while you are tanning in your tanning bed, booth, or stand-up. TIP: * Follow the guidelines for your skin type and exposure times according to your tanning equipment model in your owners manual. * Please read the Owner's Manual that will come with your tanning unit before use. Retain your manual for your records and future reference. Your Owner's manual will have a recommendation for a tanning schedule for your skin type. NOTE: People with very fair skin that don't tan in the sun or burn very easily should NOT use a tanning bed, booth, or stand-up. Never tan more than once a day. 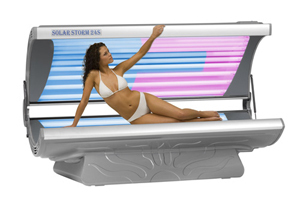 Tanning normally appears after the first few sessions and maximizes after about four weeks. Tan once or twice a week there after to maintain your tans appearance. Refer to your owner's manual that came with your tanning bed for the tanning schedule for your skin type. TIP: Never tan more than once a day. Tanning normally appears after the first few sessions and maximizes after about four weeks. Tan once or twice a week there after to maintain your tans appearance. Refer to your owner's manual that came with your tanning bed for the tanning schedule for your skin type. TIP: Drinking plenty of water helps keep the skin hydrated and soft. 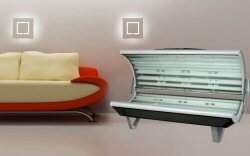 TIP: Keeping your tanning bed lamps and acrylics clean is important to maintain your tanning bed and will help you get the best performance out of your bed. Dirty acrylics will cut down on the UV light you will receive from your tanning lamps, making it harder to get a good tan. Always use an acrylic SAFE cleaner to clean your tanning bed acrylics. Using a cleaner with harsh chemicals or alcohol will dry out and dull your acrylics, making them brittle. Harsh cleaners can scratch your acrylics. Power Kleen Green™ tanning bed cleaner is specially formulated for tanning bed acrylics. Power Kleen Green™ will not dry out, dull, or scratch your acrylics. Power Kleen Green™ is the most recommended acrylic cleaner by tanning bed manufacturers, ESB, Solar Storm, Solar Wave, and more. READ MORE ABOUT POWER KLEEN GREEN CLEANER! Tanning stickers are a fun way to compliment your tan. You can use tanning stickers at the beach or inside of a tanning bed. 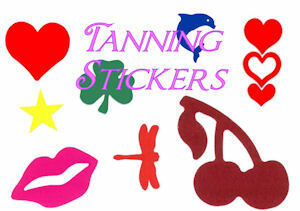 Tanning bed body stickers are made with skin safe glue. Place the tanning sticker on prior to laying out in the sun or in a tanning bed. Tanning stickers are a great way to check the progress of your tan too. These fun stickers can be used to make a cute design by using more than one at a time. Purchase Tanning Bed Body Stickers Today!